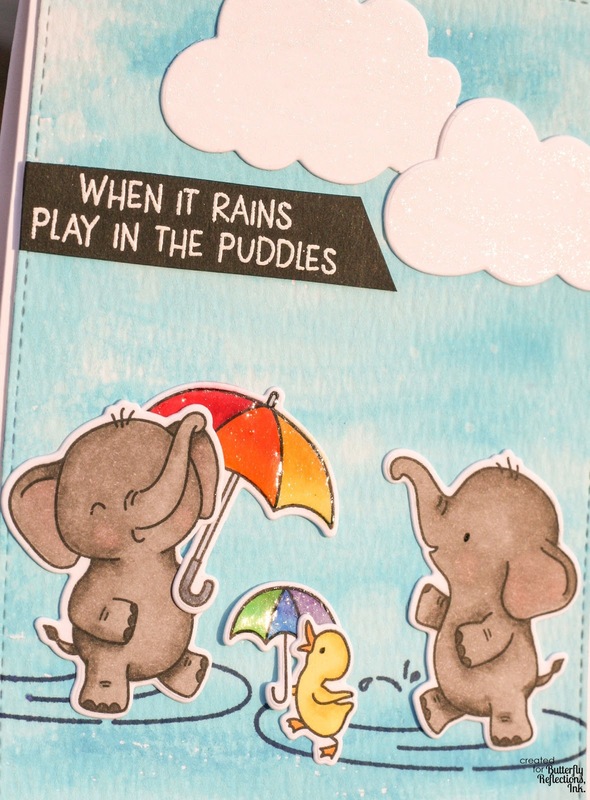 Good morning, everyone, Amy Copeland here again with this fun card using some adorable stamps from Hello Bluebird. 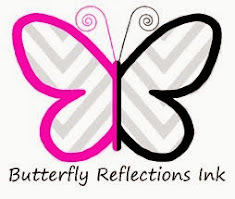 After I had my images colored, embellished, and cut out, I got to work on the background. I used Mermaid Lagoon Distress Oxide ink for the color--I smooshed my ink pad onto an Acrylic Block and squirted some water onto the ink and mixed it together. I used a Paint Brush to pick up the pigment and loosely water colored it ﻿onto some Distress Watercolor Paper, making sure to leave some areas darker and some areas lighter. I let that dry, then cut out the panel with a stitched rectangle die (These and These are both good options). 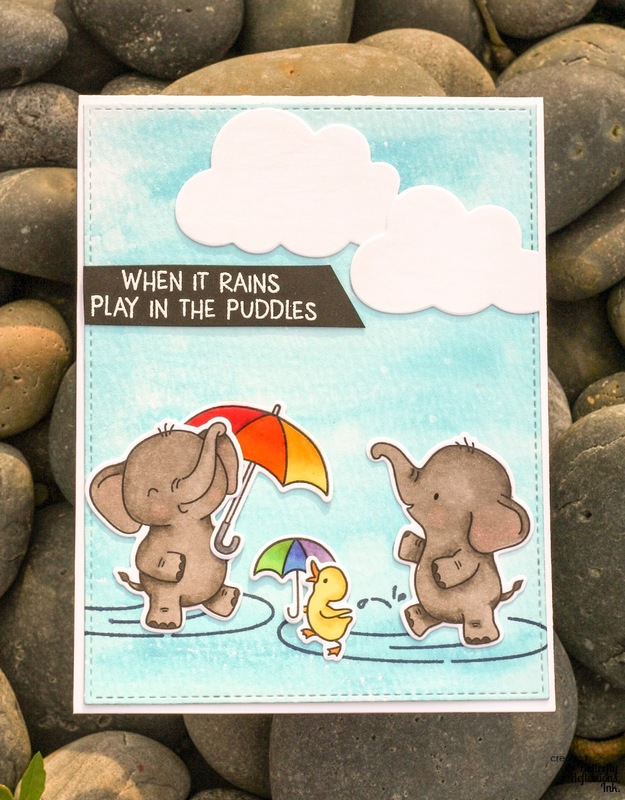 I then used my MISTI to stamp the "puddles" and "water splash" onto my water colored background with Deep Sea ink by Lawn Fawn (I adore all of Lawn Fawn's ink pads and colors). I arranged my critters on the card and adhered them down with a combination of Mini Glue Dots and Mono Multi Liquid Glue. 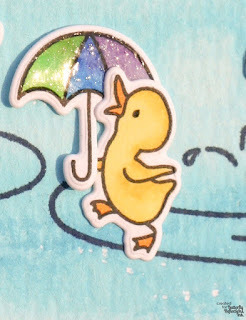 I made sure to adhere the umbrellas to the back of the critters before gluing them down on my card for easier placement. 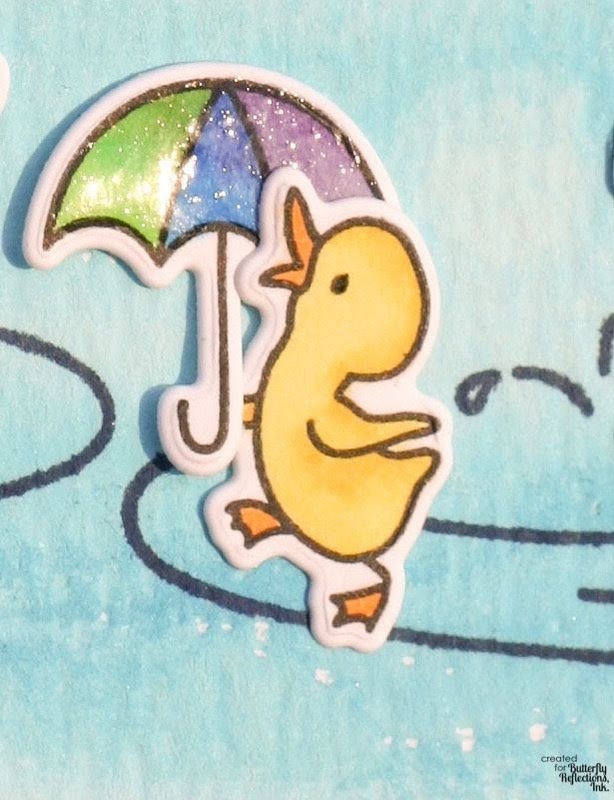 Next, I used the new Rainbow Sky Dies from Hello Bluebird to cut two clouds from smooth white cardstock and adhered them to my card. 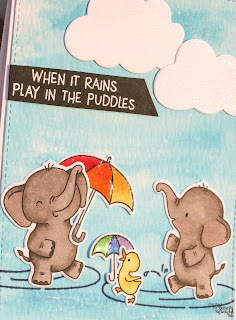 ﻿Finally, I took a piece of Black Licorice card stock and used VersaMark ink to stamp the cute sentiment. I used Lawn Fawn White Embossing Powder and my Heat Tool to heat emboss the sentiment, then trimmed it into a strip with an angled end with my scissors.